Can You Eat Barley If You're Gluten Free? Barley is one of the three primary gluten-based grains. Therefore, in almost all cases, foods made with barley will contain the gluten protein and people following a gluten-free diet will need to avoid them. That being said, you'll need to be especially careful when you try to avoid barley. Although food labeling laws mandate that food product manufacturers specify when a product contains wheat (the primary gluten grain), they do not require manufacturers to specifically call out barley as an allergen risk on food labels. Therefore, there are food products that contain enough gluten to make you sick, but won't state "barley" on the label. Barley-based ingredients can hide under a wide variety of names, and you'll need to become familiar with those names to steer clear of barley in processed foods. Gluten proteins that cause problems for people with celiac disease and non-celiac gluten sensitivity are found in the grains wheat, rye, and barley, all of which are closely related. The scientific name for the gluten protein found specifically in barley is hordein. Hordein actually occurs in the seeds of the plant, which we know as the grain. The vast majority of products that use barley as an ingredient use those grains/seeds, not any other part of the plant (think of the barley pearls you often see in hearty winter soups). Therefore, almost everything made with barley contains gluten. Malt is made from barley grains that are germinated and then dried, so all malted products contain gluten. Barley products that contain gluten include most beers (made with fermented barley), malted milk, malted candy, other malted products, barley flour (used sometimes in baking), and barley pearls (frequently found in soups). There's some controversy over whether barley grass (the young stalks of the plant that haven't yet formed grain kernels) contains gluten, and some vitamin products carry a gluten-free label despite the fact that they include barley grass. However, most experts advise using extreme caution when considering whether to consume these products. 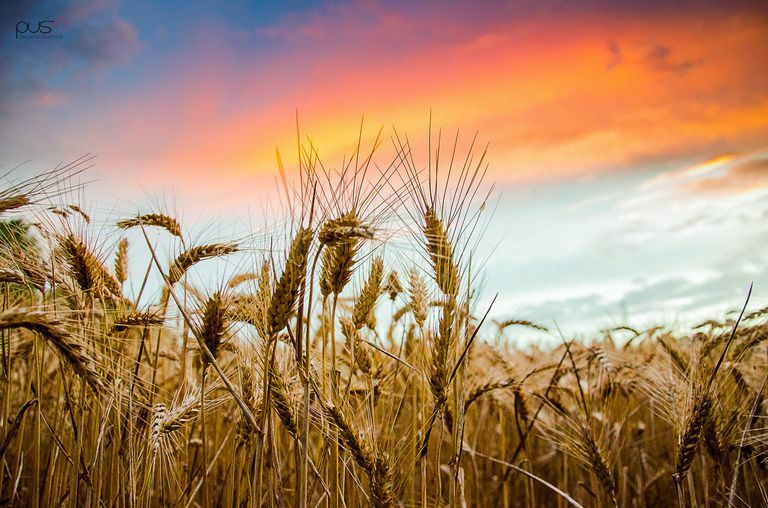 Barley is one of the oldest cultivated grains, and it has an interesting history of uses: over the centuries, it has been fermented to make mead and beer, ground into flour, and even used as currency. In Europe during the Middle Ages, barley was used to make bread for the lower classes (wheat was reserved for those who were wealthier and better-connected). Today, more than half of all the barley produced in the United States is used to feed animals, including pigs, cattle, and horses, according to the National Barley Foods Council. Barley often is used as a sweetener in processed foods—cereals such as corn flakes and crispy rice are a good example of this practice. In addition, numerous candy bars—especially crispy rice varieties—contain barley malt, and a few multi-grain and granola-type bars include the grain itself. Store-bought soups also frequently contain barley—vegetable barley and beef barley flavors are common. In this case, though, the manufacturer is likely to highlight barley on the label, enabling you to avoid it. Note that many gluten-free foods replace wheat and barley with rice—instead of vegetable barley soup, for example, you'll find vegetable rice soup. Rice is always gluten-free, of course, but you should be wary of eating too much rice, as it can be high in arsenic and other heavy metals. Unfortunately, food labeling laws do not require manufacturers to disclose barley or barley-based ingredients such as malt. Therefore, it's possible for manufacturers to "hide" those gluten-containing ingredients under catch-all terms such as "natural flavorings." For example, products that contain "smoke flavoring" often contain barley, since most smoke flavoring uses barley as an ingredient. Caramel coloring is also frequently made from barley malt. Some manufacturers voluntarily disclose barley ingredients by listing them as "natural flavorings (barley malt)" on their labels. When it comes to beer, gluten-free beer manufacturers have made some great strides over the past several years. At the same time, though, some in the gluten-free community really miss the taste of "real" barley-based beer. This has led to the rise of "gluten-removed" beers, that are made from barley and that then use an enzyme to degrade the gluten protein in the barley. These beers taste like "real" beer but can cause less of a reaction in those with celiac or gluten sensitivity. Less of a reaction is key here: some people report no problems drinking these gluten-removed barley-based beers, while others get quite sick. You'll need to make your own decision on whether to try gluten-removed beers or not. Fortunately, there are plenty of gluten-free beers that don't contain barley. Barley is not as ubiquitous in our food supply as wheat, but it can be trickier to avoid because food manufacturers are not required to disclose its presence. However, if you stick mainly with foods that carry gluten-free labels and skip foods that contain malt, you should be able to steer clear of barley as you eat gluten-free.